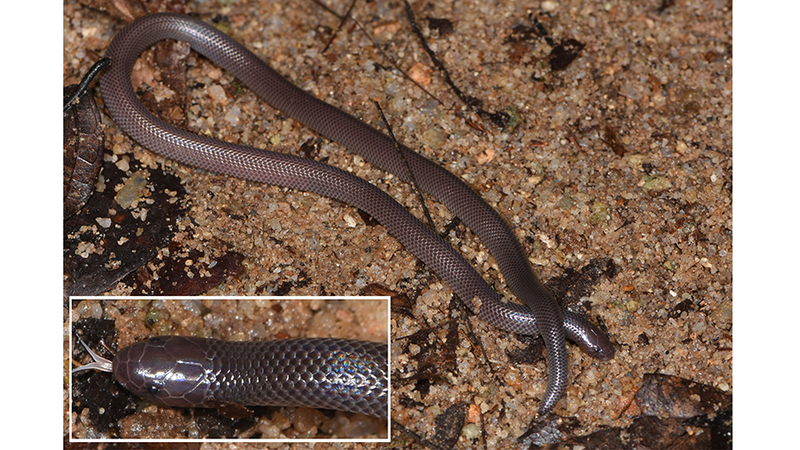 The first discovered specimen of the newly described species (Atractaspis branchi or Branch’s Stiletto Snake) in its natural habitat. Photo by Mark-Oliver Roedel. The first specimen was found at night, moving along the steep slope on the left bank of the small creek (Liberia). Photo by Mark-Oliver Roedel. Close up of the Branch’s Stiletto Snake in its natural habitat. Photo by Mark-Oliver Roedel.